Revolve Earbuds in Windup Case. The Revolve Earbuds allow you to enjoy your music without worrying about messy wires. The Case includes a clip which allows it to be clipped onto your pocket, waistband, t-shirt, or Bag for easy accessibility. Listen to your music in style! Material: Aluminum Alloy. Manufactured By Leeds. 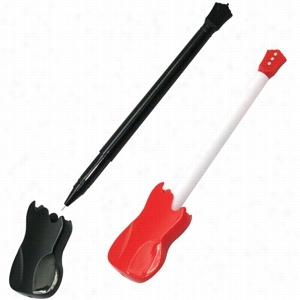 Guitar Pen - Red or Black. Let the good times roll with this fun guitar shaped ballpoint Pen. Dozens of applications including music schools, bands, instrument stores, music teachers and more. Rock on! Products are not intended for use by children or pets. They may present a choking hazard to children under 3 years of age. 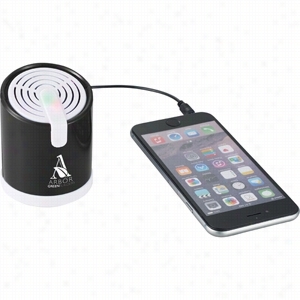 Listen to music anywhere with this light up travel Speaker. Includes an integrated 3.5mm audio jack and volume control so that its easily connect to your music source and adjust volume. Includes micro charging cable. Media device not included.' Material: Plastic. Media device not included. These headphones feature a rich, high quality sound and built-in microphone for easy call answering. Easily pairs to your smartphone or other device via bluetooth technology. Bluetooth operating distance of up to 30 feet. Powerful, high performance bass and treble sound. Light weight and adjustable for a comfortable fit. Folds up for easy storage and travel. Integrated buttons allow you to answer calls through the headset, adjust volume and skip music tracks. Charging time: 1-2 hours after first 4 hour charge. Playback time: approximately 10 hours. Zippered EVA molded travel Case and Brookstone box included. 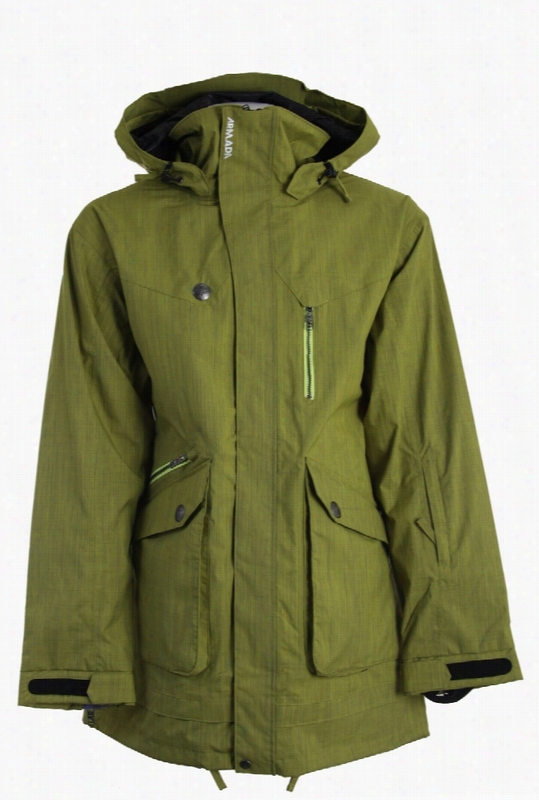 Fabric/Material: ABS Plastic with Rubberized Finish. ifidelity Blaster NFC Bluetooth Stereo. The ifidelity Blaster NFC Bluetooth Stereo delivers a full sound and will be sure to change the atmophere. Pair with a Bluetooth-enabled mobile Phone or other device to enjoy your music anywhere. The built-in microphone enables functionality for hands-free calling. The built in NFC technology allows you to simply connect the speaker to some handsets that are NFC compatible from manufactures like Samsung, Nokia, sony, and others. FM radio function included. Power bank is also included on the back side of the device with 3600 mAh and 5V/1A output. Includes 3.5mm audio cable and USB to Micro USB charging cable and AC Adaptor. Material: ABS Plastic. Manufactured By Leeds. Perfect Gift For The Person Who Has Everything!Play Your Music In The BottleStore Your Phone In Your Bottle.Ideal For Travel,Gym,Gym,Beach,Car,Work.Designed To Fit Iphone 4 & Iphone 5(Fit Other Models Although May Not Amplify Music). 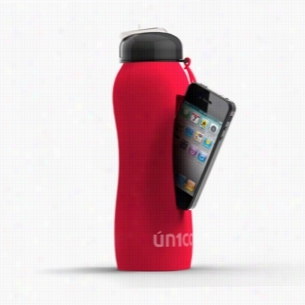 Silicone Secures And Protects Your Phone. ifidelity Noise Reduction Warp Bluetooth Headphones. The ifidelity Warp Bluetooth Noise Reduction Headphones feature quality Bluetooth sound and active noise cancellation. The ANC (active noise canceling) blocks sound up to 18 decibels. This is enough to block out the natural surrounding sounds or the humming noise in the airplane. The over-the-ear earpieces make these headphones comfortable enough to wear all day in the office or all day in the air. 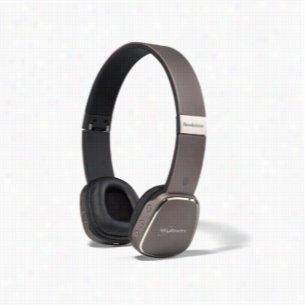 The headphones also feature built in music control and a mic,which allow you to answer a call, change the volume, and go to the next song without touching the connect device. 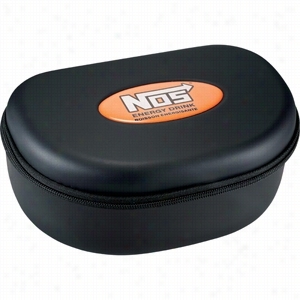 Includes micro USB charging cable and storage case. Bluetooth working range is 10 meters (33 feet). Material: ABS Plastic. Manufactured By Leeds. 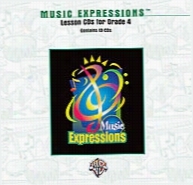 Music Expressions Grade 4, Lesson. Bluetooth Cylinder Mini Speaker & Emergency Mobile Charger. 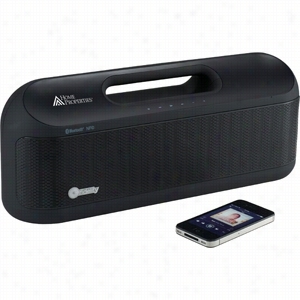 Includes the BluetoothÂ® Cylinder Mini Speaker and the Emergency Mobile Charger. Speaker features an aluminum case cylinder with steel mesh cover and no-slip bottom. 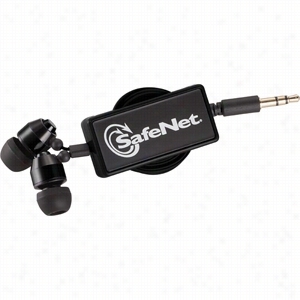 Connects to your mobile device using wireless BluetoothÂ® technology or through the 3.5mm audio cable (not provided). Push button to answer phone calls. Speak hands-free into built-in microphone. Also play MP3 files though a USB flash drive or TF card. 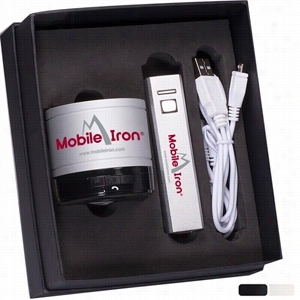 Includes rechargeable Lithium-ion battery that charges through USB port (cable provided). Rated Impedance: 4 Ohm; Rated Power: 3w; Speaker: 1.6 inches; Rated Voltage: DC 5V; Aux in: 3.5mm audio jack; Frequency response: 90-20KHz; SNR: = 85d; Sensitivity: 80db Â± 2db; Distortion: = 0.3%. Battery is a portable Samsung Lithium-ion cell in an aluminum alloy shell that allows you to charge your devices virtually anywhere. Power bank includes standard USB connector cable to charge battery from your Computer or any USB port with a power supply. Features ready indicator light and on/off switch. Input: 5V DC; Capacity: 2200mAh; Output: 1000mA. Lifespan: Up to 500 charges. Charging capacity: 100% for iPhoneÂ® & Smartphones; iPadÂ®: 15% for iPadÂ® 1, 2 and 3 - 20% for iPadÂ® Mini; 100% for iPodÂ® and Digital Music Players. CE and FCC approved.